Kunming in Yunnan China has implemented the 144-hour visa-free transit program. Passport holders of the 53 qualifying countries can be granted a visa- free stay of up to 144 hours if they transfer via Kunming Changshui Airport on the way to a third country. During the stay, they can leave the airport, making it possible to conduct a layover tour. Currently, passengers transiting in Kunming are only allowed to move around in this city if they wish to enjoy the 144-hour visa-free transit. It means those who want to take a tour to Lijiang, Dali, Xishuangbanna, or other cities need to get a normal visa. 2) Passengers need to enter Kunming from Country A and then leave for Country C. A and C should be different countries, which means they cannot return to the departure Country A immediately after the layover in Kunming. Note that Country A and C can be foreign countries, Hong Kong, Macau, and Taiwan. In Kunming, the 144-hour visa-free transit is only available at Changshui International Airport. It means you have to fly in and fly out. Land ports in Yunnan do not issue a 144-hour visa-free stay permit. What Can I Do in Kunming During the 144 Hours? If the length of your stay is short, you can take a tour around Dianchi Lake, which is about 40 km (25 mi) from the airport. Choose one from the Grand View Park or Haigeng Park to take in the beauty of the lake. If your visit is during the period from October to March, you can see a wide range of migrant birds wintering in these parks. Yunnan Nationalities Village also lies near the lake, where you can appreciate the architecture and folk customs of 26 of China's ethnic groups. 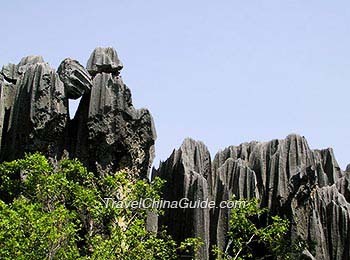 The Stone Forest, located in Shilin Yi Nationality Autonomous County of Kunming, is about 2 hours' drive from the airport. 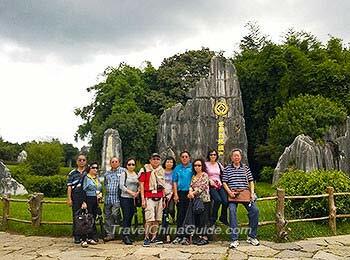 Here you can see many karst limestone formations created by nature, resembling caves, animals, and giant columns. Direct tourist buses between Changshui Airport and the scenic area are available, making it easy to arrange a day trip. Unless your flight schedule is tight, it's a great idea to take a two-day visit to the Dongchuan Red Land. Here swathes of bright red soil contrast with the colors of seasonal crops and plants and is often compared to an artist's palette overturned by God. 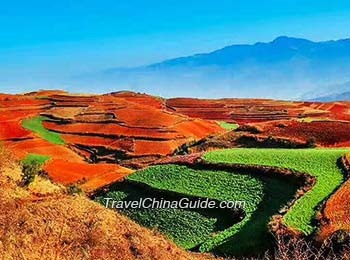 Shutterbugs should not miss the chance to take a stopover tour in Dongchuan Red Land, especially when your visit is during late April to early May, late August to early September, or mid-November to December when the colors are most vibrant. Hi. I am flying in from London to Shanghai. Then 2 days later flying from Shanghai to Myanmar. The flight stops off at Kunming where I have a 3 hour lay over. Will I need a visa? Yes, you need a Chinese visa before the trip.